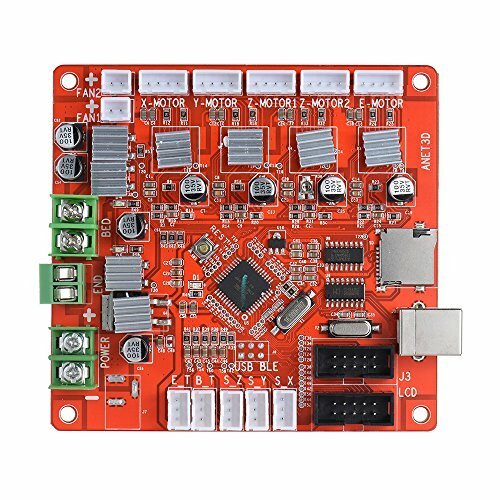 Highly-integrated mainboard fits for Anet A2/A6/A8 3D printer, easy for connection and operation. Upgrading circuit design offers it stable performance. Adopts for MOS with high-perforamnce as a driver, great heat dissipation effect. 12V power supply input receivable, with USB port. Support the connection for Ramps1.4, 2004 LCD and 12864 LCD control board. Please pay more attention to the circuit diagram showed in the picture before mount it. Highly-integrated mainboard fits for Anet A2A6/A8 3D printer. Adopts for MOS with high-perforamnce as a driver.